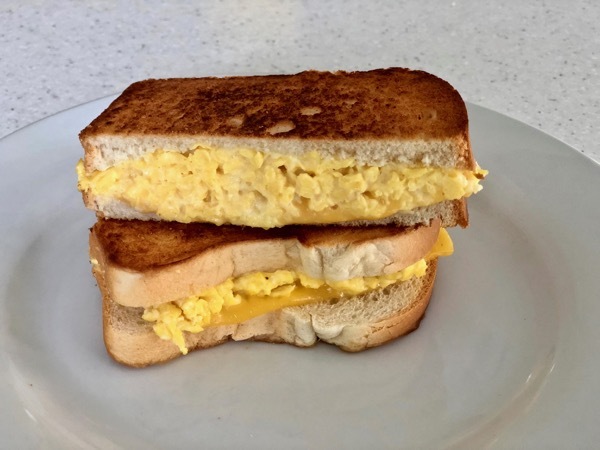 This is probably the most incredible breakfast sandwich… ever. 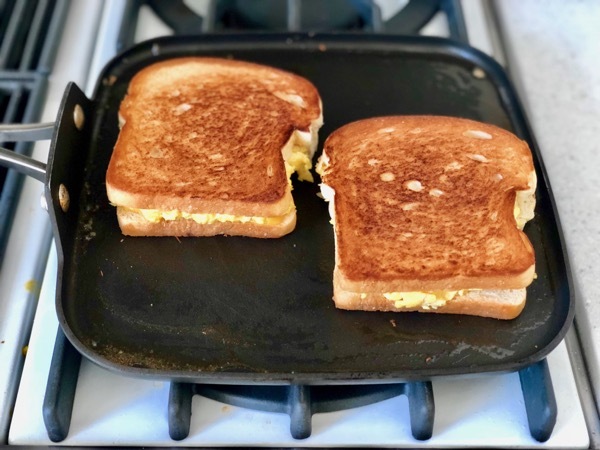 Best part you can make all the components a couple hours ahead of time, then it’s just a quick griddle until you plate it up. And while it’s uncommonly light and airy it’s actually pretty sturdy, so you can take this toasty on the road. If you feel the need to add a meat serve it on the side. 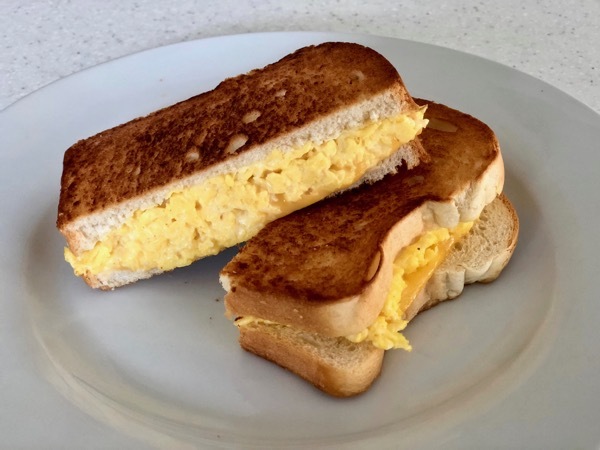 Not only is this breakfast sandwich perfect all on its own, adding bacon or sausage might disrupt the way it all aligns like a dream. 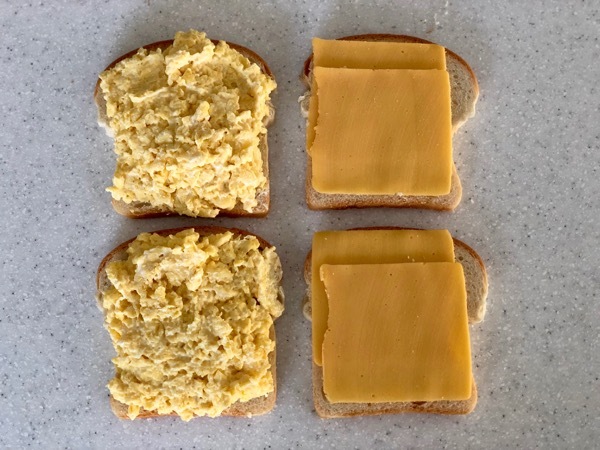 There are two secrets to making this breakfast scramble sandwich, the first is whisking the eggs constantly over medium to medium-high heat so that they make a small curd. 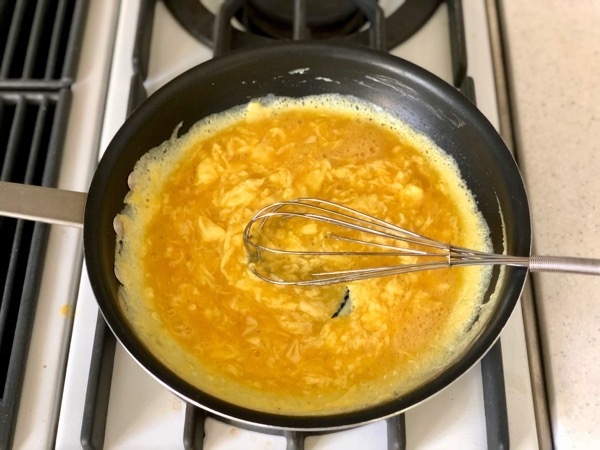 Then when they are firmly set, whisk in some cream cheese (I like to use whipped Philly) to give it added creaminess and to help bind it all together. Don’t get jazzy with the cheese. This one calls for American all the way. 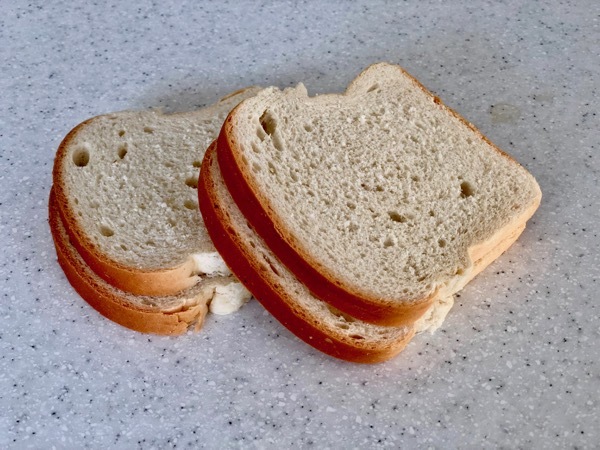 And for the bread choose a good old fashioned white sandwich bread sliced thick. 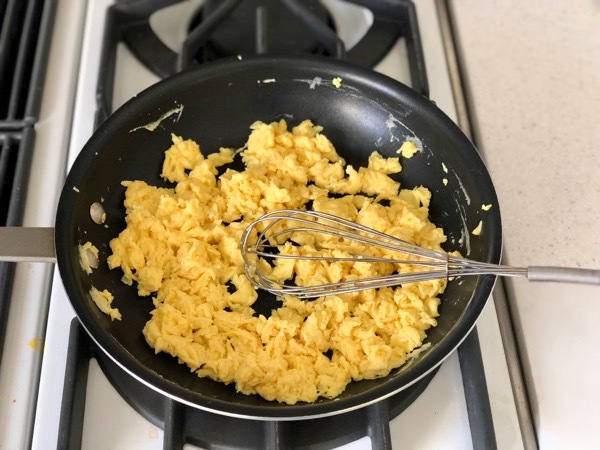 Whisk four eggs and a small pinch of cayenne in a small bowl; season generously with salt. 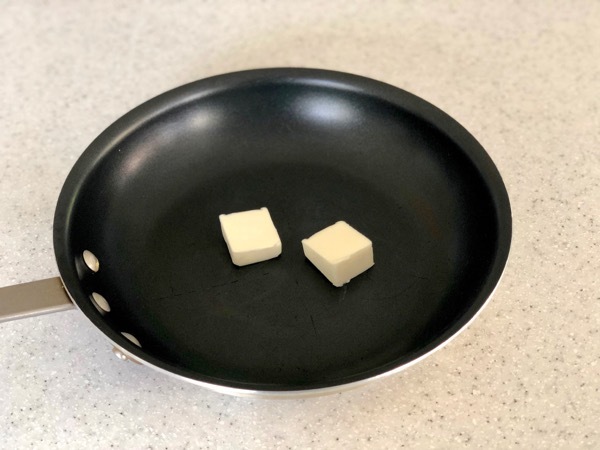 Heat the butter in a medium saucepan over medium to medium-high heat. Cook, whisking constantly, until they have set in small curds and are beginning to look dry, about 1 minute. 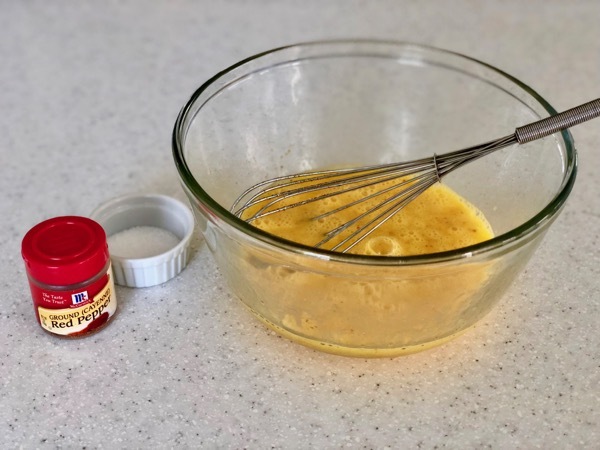 Immediately remove from heat and whisk in the cream cheese. 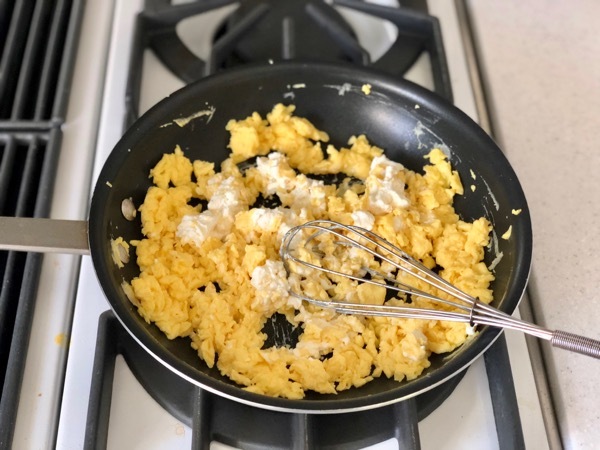 The eggs can be scrambled 2 hours ahead. Cover tightly and store at room temperature. 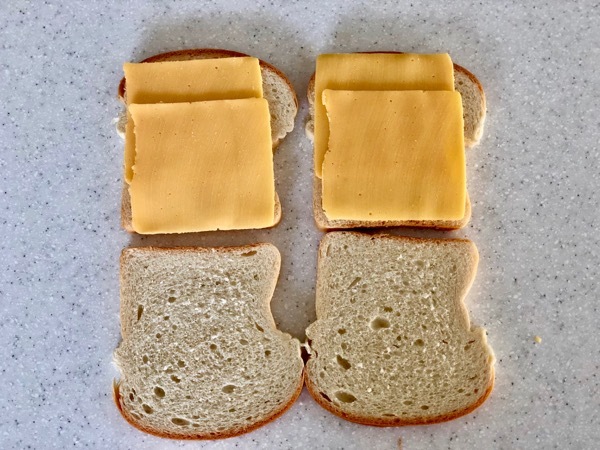 Put two slices of cheese on two of the slices of bread. Top the other two slices with the egg mixture. Close the sandwiches up. 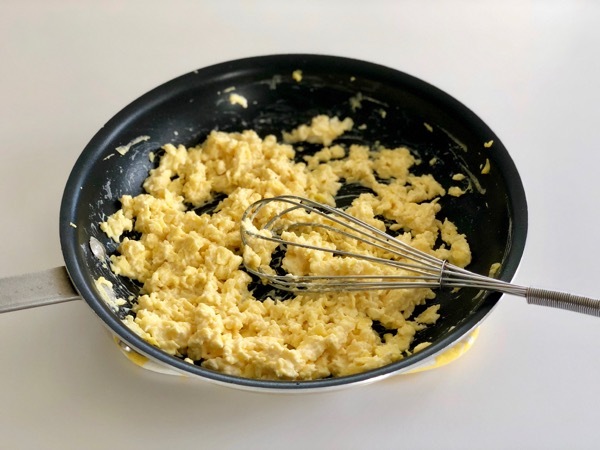 Heat a dry large skillet over medium-low heat, then brush very lightly with butter. 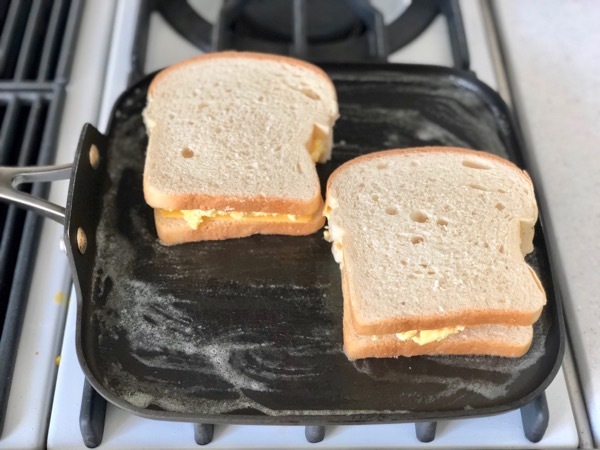 Toast the sandwiches until golden brown, about 3 minutes per side. These became instant family favorites with my crew over the past holiday. It’s sure to become your morning go-to too. These look SO good - will try!